1 What is orthostatic hypotension? 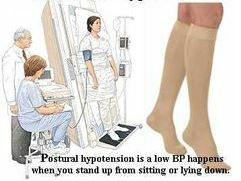 Orthostatic hypotension is related to lowering of blood pressure during the changing of the posture from sitting or lying down position to standing up position. Sudden posture change from sitting or lying down position to standing up position causes blood pooling towards blood vessels of the lower extremities due to gravitational force. This causes lower than the normal amount of blood reaches into the heart and cardiac output decreases and resultant in lowering of blood pressure. It is also termed as postural hypotension. Vertigo or head swing, blurred vision and sometime unconsciousness also reported with orthostatic hypotension. These features of orthostatic hypotension do not stay for a longer period, but the frequent incidence causes further complications. It is always better to take an advice from a doctor, if the incidence is frequent with the association of fainting. Hypotension is not a disease, but it is a symptom. Identification of the underlying cause is important for mitigating this health problem. The common symptoms associated with orthostatic hypotension are head swing along with dizziness and lightheaded. These symptoms arise suddenly and last for a few seconds to one minute. Association of following diseases mostly causes orthostatic hypotension (OH) which includes anaemia, dehydration, and excessive blood loss. Cardiac problem like stroke, angina, and myocardial infarction cause OH. Endocrine disorders which include thyroid and adrenal gland disorder increase the risk of OH. Blood pressure lowering drugs like beta-blocker (epinephrine, nor-epinephrine) or other causes OH. Sildenafil or Viagra which is used for treatment of erectile dysfunction and pulmonary arterial hypertension cause orthostatic hypotension. Anti-psychotic drugs like (Nortriptyline, Tri-cyclic antidepressant drugs and MAO inhibitors) often cause OH. Stimulation of vegus nerves due to emotional or physical reason is the origin of Vasovagal syncope which causes sudden unconsciousness or fainting. These two instruments are use for blood pressure measuring. Diagnostically it has been observed that more than 20 mm Hg dropping of BP during systolic condition and greater than 10 mm Hg dropping during diastolic condition causes orthostatic hypotension. Blood tests are conducted for estimation of haemoglobin and for blood sugar monitoring. Lowering value of any of the test result causes OH. This diagnostic tool helps to identify the heart rate related problem which can also develop OH. It is conducted for identification of structural abnormality present in heart muscles. This is non- invasive technique. Sound waves are utilized for production of the video image of the heart. This technique identifies the increased of stress level of heart muscles during walking on a treadmill. This test helps to analyze how blood pressure will altered with the posture. 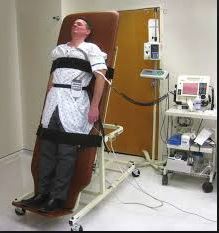 In this test patient has to lie down in a table and attached a belt to prevent the falling and then horizontally tilted the table. In the frequent interval, blood pressure is monitored with every change of posture. For treatment of orthostatic hypotension, different medicines are available. Depending upon the underlying cause the treatment is provided, but regular BP monitoring is also a part of treatment. Otherwise recommended drug may raise Blood pressure. Blood fluid increasing drugs like fludrocortisone is given to rectify the volume of blood which can increase BP. Another available drug is midodrine which helps to increase the BP in standing position by inhibiting the blood vessels expansion. In case of nervous system disorder like Parkinson disease, autonomic nervous system disorder or in multiple nervous system degenerative diseases, doctors often prescribed Droxidopa. Other included drugs like pyridostigmine, NSAIDs, epoetin and caffeine may provide with lifestyle modification measures are associated with other prescribed medicines. Small meal after regular interval. Put on abdominal belt and compressed stoking help to lessen the frequency of incidence. Use pillow under the head which helps to avoid gravitational force effect. Falling Down. Often elderly patient not manage the balance during vertigo and may fall down which may become a serious health issues due to unwanted injury or fracture. 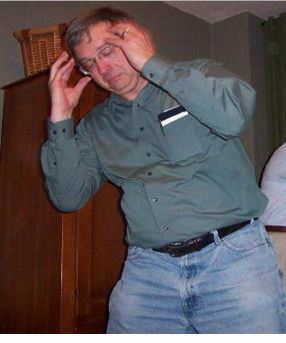 Fainting and falling down required immediate medical help, as it may a symptom of stroke. Stroke. The sudden decreased blood pressure can cause lower blood supply at the brain and resultant is stroke which is a serious health issue. Cardiac Complication. Orthostatic hypotension increased the potential risk of ischemic disease and cardiac arrhythmia.